Previously manufactured by Remploy and now available again, AND still manufactured in the UK, this classic poly chair provides durable and cost effective seating for schools and colleges…. but also worth considering for reception areas, offices…in fact wherever a durable and comfortable chair is required…and please don’t forget the FIFTEEN year guarantee. 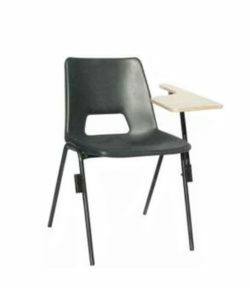 The EN Classic is a high quality “user friendly” chair which is ideal, not only for classrooms but also universities, libraries and public areas. 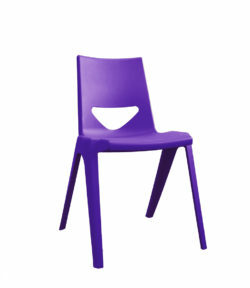 The chair has been designed to provide gentle flexing which allows the user to relieve tension in the back when in use. 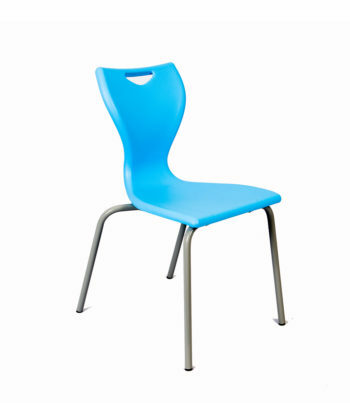 The EN10 chair is supplied in a range of 16 colours in sizes 430 and 460 mm seat heights…. (For sizes 260 – 380 mm there is a choice of ten colours). 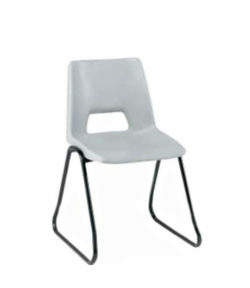 The build quality and durability are excellent, which is why this chair has a 15 year warranty….that’s a cost of less than 1p a day over the 15 years ! The EN 10 Classic chair can be supplied with a linking attachment, essential when being used in certain locations and to comply with fire regulations.